Keeping ourselves safe is a big part of the 'Carrant Brook Curriculum!' 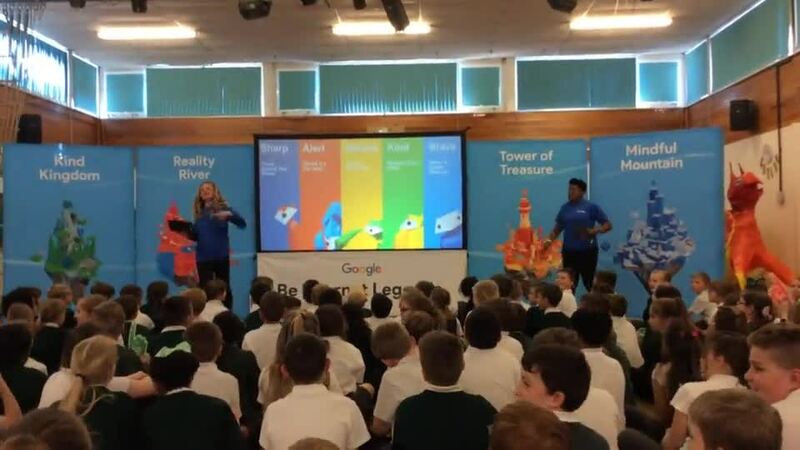 This is why we have held a special assembly today where we have had visitors from Google come in to talk to pupils about staying safe online. We were very proud of the children as many of them knew different ways to keep themselves safe. However, most of our children also learnt something knew. Carrant Brook has now officially been awarded the title of 'Internet Legends' from the Google Team. Take a look in reception the next you visit. The internet is a valuable tool. It is an excellent way to help us learn and to have fun whilst doing so. However, the internet can be dangerous and it is extremely important that we stay safe online and use the internet responsibly and safely AT ALL TIMES so that we do not put ourselves, or other at risk. This page contains valuable advice and information for the whole of our school community. Many children have access to social media websites, despite age restrictions. Without certain settings in place, they are susceptible to having personal and private information shared publicly online which can have serious consequences. Here is some guidance about privacy settings on some of the main social media websites. Click any of the websites listed to download and print their guides. What do parents need to know about Momo?